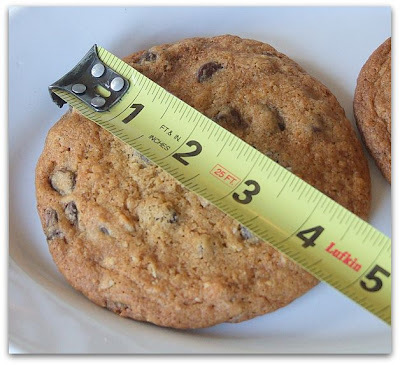 Baking different varieties of chocolate chip cookies seems to be all-the-rage these days. If someone claims to have the most superior recipe, I'll give it a go. I've tried many recipes but I always come back to this one. 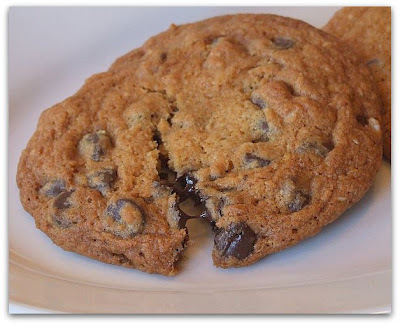 To me, this one (with its two secret ingredients) is the ultimate chocolate chip cookie. I'm personally happy nibbling away on the raw stuff. My husband freaks out about that. I try to explain to him that I grew up eating cookie dough and cake batter and all that stuff and I don't seem to harbor any ill-effects. The best part about baking is licking the beaters and rubber spatulas. Yum. 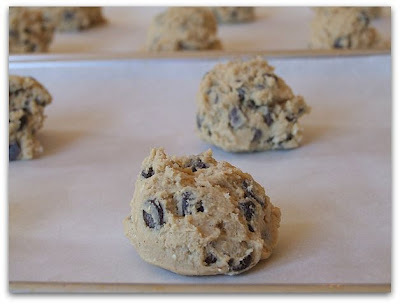 I haven't found any value in refrigerating cookie dough before baking... but I do like to plop it on my cookie sheets (lined with parchment) in a semi-round manner. I figure if it starts out round, it's less likely that you'll get the funky shapes. 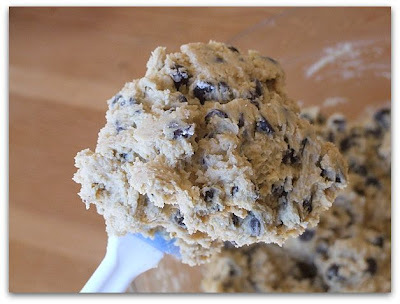 For these cookies, I use a regular-sized ice cream scoop (about 1/4 cup). 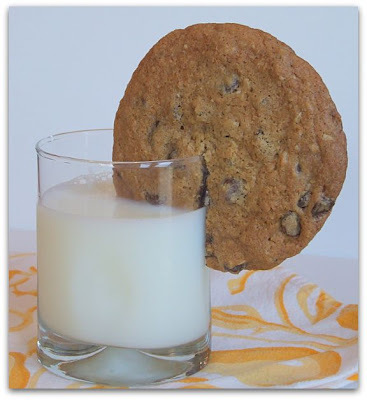 These Secret Recipe Chocolate Chip Cookies produce a big, round, chip-filled chewy cookie. And what are those secret ingredients I mentioned?? 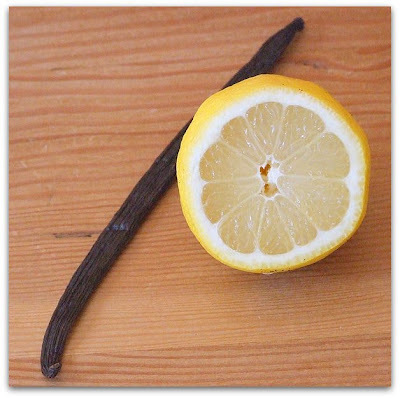 Vanilla and lemon. Lots of vanilla... 2 teaspoons of pure vanilla extract plus a scraped vanilla bean. Lemon juice too... just a teaspoon. You don't taste it at all, but it helps produce a chewier cookie. I suppose there is a third secret ingredient to share too... oatmeal. Except that you put the oatmeal in the food processor and pulverize it into an almost-powder. That adds a little twist to the dry ingredients. 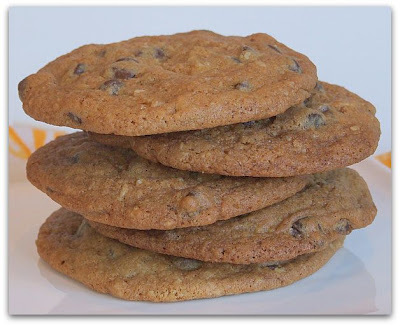 So go ahead and continue your search for the ultimate chocolate chip cookie recipe... refrigerate the dough for 24 hours, use parchment, use silpat, use insulated sheets, use jelly roll pans, bake them upside down or whatever... but if you try these, you might just wish to put an end to your search.